With its stunning location overlooking two beautiful valleys of the Tarwin River, Grand Ridge is an immaculate holiday home with all modern conveniences for those who are particular about quality and comfort yet want spectacular views as well! 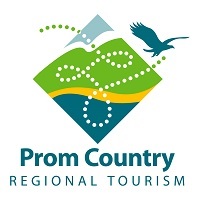 Grand Ridge is the area's only accommodation located right on the renowned, tourist designated Grand Ridge Road, which winds its way through the picturesque Strzelecki Ranges of Gippsland. Great beaches and coastline are also easily accessible to the south.